Ultimately, the performance complaints are just nitpicks. You do not need a solid 60fps to enjoy taking a ride into future Poland. >OBSERVER_ is a superior, more frightening take on the experience we glimpsed from Westwood Studios’ Blade Runner adaptation back in 1997. Outstanding level design and a perfectly paced nightmare make for one of the best adventure titles I’ve ever played. Observer feels like a step down from Layers of Fear. 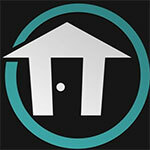 It's intriguing and mind-bending enough for sure with its atmosphere sure to creep out people. But the lead VA, annoying artefacts and some of the horror elements just don't click. This is a niche genre that needs new revisions and new pioneers so it can keep evolving as we inch closer to seeing its fictional warnings play out in real life, and Observer adds to the familiar parables in fascinating and unexpected ways. In that respect, and on so many other levels, Observer is a haunting and remarkable achievement. 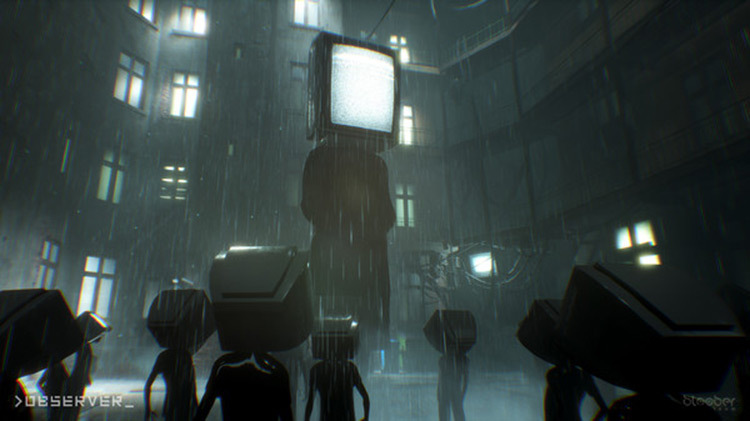 An audio and visual tour de force, Observer doesn’t pull any punches. It would appear that Layers of Fear was simply foreplay for Bloober Team; a warm up for the full-on fuckfest that Observer is. Combining investigation, exploration, stealth, puzzles, and a near constant barrage of horror, Observer is a meticulously created game that rarely puts a foot wrong. If you think you have the stomach for it, this could be one of the biggest surprises of the year. As it turns out, the future is not bright in this neo-noir detective game with a horror twist. Observer may only take nine or ten hours to complete, or a little longer if you search through the rubble even more so for collectible cards, and it feels like watching an excellent art house cyberpunk film every second. Its grimy characters, seedy underbelly of futuristic Poland, and uncomfortably bizarre storylines combine to make some of the greatest experiences I’ve ever had in gaming. It may be a little unorthodox, but it’s executed fantastically. 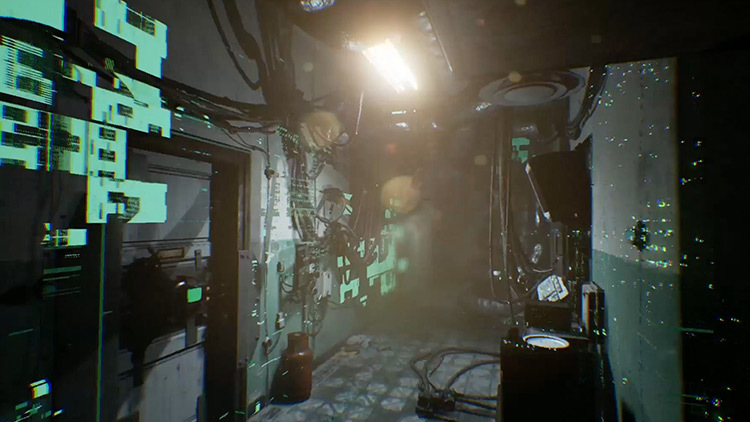 Observer lays the paranoia and atmosphere on thick, while not sacrificing significantly in the gameplay and story department. The result is a nicely balanced, consistent and compelling experience that is easily recommended to horror and sci-fi fans. 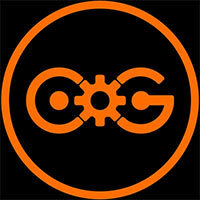 Overall Observer is good at what it does, but it’s not the sort of place I overly enjoyed being in. Rather than pelting headlong down the horror route, it straddles an awkward thriller line that didn’t overly entice me. At no point was I desperate to boot it up and find out what happened next, no doubt partly due to the busy, often dizzying art style that made me feel like I was sat in the back of a hot car on a long journey. 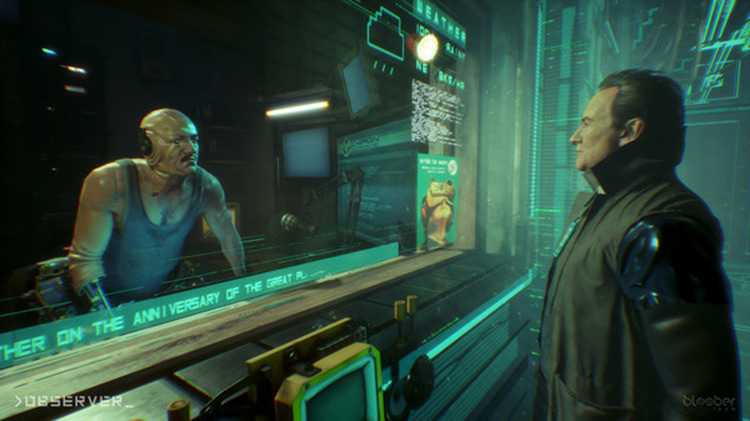 Observer markets itself as a “cyberpunk horror game”, and I think that’s the stage from which it should be judged. 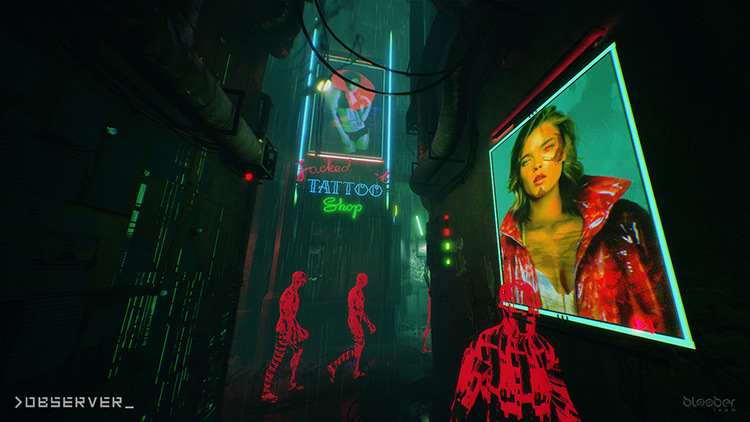 Cyberpunk needs world building and atmosphere to flourish, and Observer brings that in full. But cyberpunk also relies heavily on a narrative, while horror is, well, horror. By this standard, Observer should be compelling and bone-chilling. And it isn’t. Sure, Observer suffers from a couple of real problems (at least on console - we haven't seen any major complaints on the PC), but the game's setting, action, and basic idea are all incredibly interesting. If the detective work doesn't get you excited, perhaps the Blade Runner vibes will? What was it that androids dreamt of? Observers? Puede que Observer no sea la aventura de terror definitiva, pero sí es uno de los juegos más interesantes que se han lanzado en los últimos meses en su género. El fuerte de Bloober Team es crear una narrativa consistente, sólida y capaz de contar una historia sin dar viajes a caminos incomprensibles. 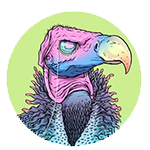 Dentro de su normas jugables, el diseño artístico de los niveles y todo lo que rodea a esta propuesta del estudio polaco están a un nivel notable. Los creadores de Layers of Fear regresan con una aventura fascinante, corta pero increíblemente interesante y claustrofóbica, que nos deja una de las experiencias indie más sugerentes de cuantas han aparecido durante este verano. Una historia muy bien recreada e inquietante se ve reforzada por personajes muy bien caracterizados, una ambientación oscura y cyberpunk muy notable y alguna que otra pequeña sorpresa jugable. Cuando confía en mecanismos de terror más explícito, Observer deja un poco entrever sus costuras en medio de lo que de otro modo sería una experiencia sólida y mucho más fructífera. Acertadísimo paso adelante por parte de los creadores de Layers Of Fear, para ofrecernos una aventura de terror en primera persona con una fuerte carga narrativa que, por fortuna, no somete por completo bajo su yugo a una jugabilidad que agradece muchísimo un desarrollo más abierto de lo esperado con misiones opcionales, y la introducción de mecánicas jugables que dotan de cierta profundidad a su propuesta. Observer ist ein abgedrehter Cyberpunk-Thriller mit vielen Psycho-Spielchen, die leider zu schnell ihre Wirkung verlieren. A la fois polar sci-fi aux ramifications complexes, mise en garde contre les dérives de l’intelligence artificielle, du transhumanisme et de l’hyper-sécurité, Observer offre pendant près de 8 heures une plongée glauque et franchement crade dans un monde que l’on espère ne jamais voir devenir réalité. Quelle expérience de vivre dans la peur ! Voilà ce que c'est que d'être un esclave. Loin de clore le débat passionné autour des walking sims, Observer assume pleinement sa proximité avec le cinéma interactif, quitte à se mettre immédiatement à dos les allergiques au genre. Pourtant le titre de Bloober Team propose quelque chose de tout à fait cohérent et saisissant. Certains jeux ne cherchent pas à valoriser le joueur, mais au contraire à le bousculer, et leur projet entre clairement dans cette catégorie. Il est de ces titres qui, une fois achevés, laissent une empreinte indélébile dans l'esprit du joueur. Observer est indéniablement de ceux-là. À travers la peinture d'une société dystopique contrôlée par une corporation toute-puissante, l'expérience proposée par Blooper Team fascine autant qu'elle dérange. Elle interroge le joueur sur les questions du transhumanisme et de la réalité virtuelle de façon pour le moins originale, ceci en l'impliquant directement au coeur de sa réflexion. Observer è un riuscito mix tra esplorazione, avventura investigativa e walking simulator, con in più massicce dosi di visionarietà, horror e cyberpunk. Un titolo che colpisce subito per la sua atmosfera e che, rispetto a Layers of Fear (precedente titolo degli sviluppatori), offre una longevità maggiore, un’interazione con l’ambiente più completa e qualche spunto avventuroso in più. Observer è un'avventura certamente affascinante, dotata di riferimenti narrativi ben precisi, con un focus sulle inevitabili questioni etiche che accompagnano l'introduzione di innesti cibernetici. Quando si smette di essere persone e si comincia a diventare macchine? La risposta si perde in un mare di sfumature, mentre l'agente Lazarski, ben doppiato da Rutger Hauer, bussa a ogni porta dello squallido condominio in cui pensa si trovi suo figlio. Observer è al contempo una bella sorpresa e la conferma che gli autori di Layers of Fear possono ulteriormente crescere e dire la loro all'interno di questo mercato. 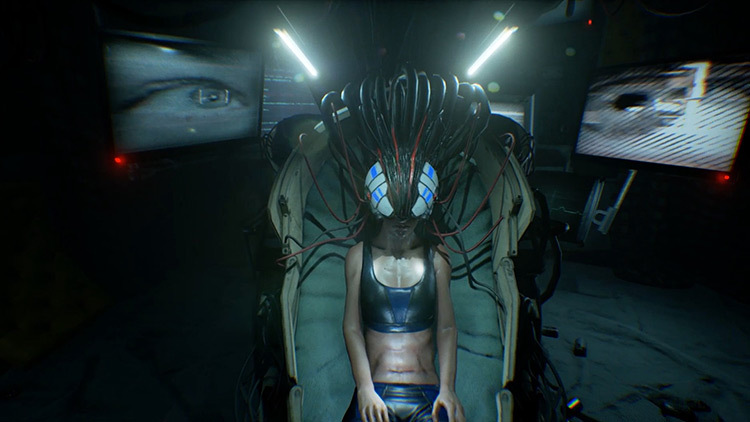 Observer è il perfetto esempio di come mescolare due generi apparentemente molto diversi tra loro in maniera intelligente e lungimirante, lasciando spazio per sviluppare ulteriormente il franchise ed esplorare da diverse angolazioni il concetto multiforme di horror, inglobando al suo interno tematiche delicate e non semplici da trattare. 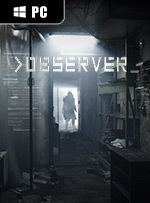 Играть в Observer страшно. Не из-за тревожного эмбиента, резких звуков и сраных внезапных голубей. Не из-за боди-хоррора, которого тут тоже хватает. А из-за прямого столкновения с описанными выше вопросами, из-за чувства беззащитности перед ними. Nie wszystko mi się w Observerze spodobało od razu, ale grę jako całość oceniam bardzo pozytywnie. Widać, że Bloober Team ma coraz większe ambicje i mam nadzieję, że kolejna produkcja zawiesi konkurencji poprzeczkę jeszcze wyżej. Interesujący pomysł przeplata się tu ze świetnie zaprojektowanymi wizjami, a całości towarzyszy niezgorsza grafika i kapitalna ścieżka dźwiękowa. To co prawda nadal symulator chodzenia, ale ciekawszy, lepiej zaprojektowany i zrealizowany niż poprzednie dzieła krakowskiego dewelopera. Poprzeczka dla twórców Observera była zawieszona bardzo wysoko. Z satysfakcją trzeba powiedzieć, że pomimo kilku wad, gra w pełni spełniła oczekiwania, spokojnie dorównując poziomem Layers of Fear. Brawurowo nakreślony świat gry oraz oryginalne pomysły idące w parze z najwyższej jakości wykonaniem – wszystko to sprawia, że studio Bloober Team śmiało zmierza ku czołówce polskiego gamedevu. Czekamy na więcej.